Today’s Tarot is the reversed Emperor (Aries) and the reversed Seven of Pentacles (Saturn in Taurus). Aries wants to run the show, but is thwarted inverted. Saturn works patiently (Taurus), but inverted, it doesn’t seem to go to good ends. So here, I see an admonition not to work long and hard at controlling others, because it seems likely what you are trying for won’t necessarily come to pass! At the very least, it won’t manifest the way you expect. That’s beyond okay. It’s how the world seems to work, you know? Had my family or others in my life who loved me had this kind of power, I’d be a much different person than I am today. And I don’t think I’d like it as well as what I’ve created for myself. For me, the bottom line is always what energy I have a right to. I mean, I have right to care about others and in some cases, responsibility to care for them. What I don’t have is blank check to make decisions for others. This is both bothersome and liberating. It’s hard to see people you care about take turns that look disastrous, you know? But ultimately, you have no way of telling where those turns lead, nor any right to demand they reconsider. For me, I see it in choices about where I want to place my energy. In relationships with others, that means I support what I can feel good about supporting, and pull back from what I don’t. Doesn’t mean I won’t toss out a, "Hey, look out!" if I see a brick wall in view. But if that doesn’t work, then I’m moving along no matter who it is. Today’s Tarot is the reversed Seven of Pentacles (Saturn in Taurus), Reversed Four of Cups (Scorpio Sun), and The Sun (Sun, duh). You’ve worked quite hard, planted your seeds already, and assessed their growth appropriately. Don’t discount the work you’ve already done, the results you’ve already received. They count! Everything counts. Take some joy from your successes—you own them, okay? Nothing motivates like success. Examine your own winnings, rejoice in them, and USE them to encourage yourself, as fuel future growth. Do you have trouble giving yourself credit for the work you’ve done? I don’t know about you, but I’ve had a lot of emotional shifts over the past few weeks, especially under the eclipses. Perspective, understanding, and beliefs that I’ve long accepted as real demanded reevaluation—in my face, no seeking required. I’ve started sorting it out. It’s felt a bit unsettling, sure, but not too worrisome, because it feels like things are clicking into the right place, where they belong. That’s reassuring. Did she understand what I was trying to tell her at the time? I asked her, now she’s grown up. Parenting lesson fail, done in by choice of metaphor. 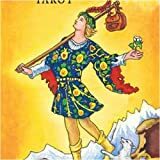 Today’s Tarot forecast is the Seven of Pentacles inverted, or “Lord of Success Unfulfilled,” associated with Saturn in Taurus. We have a process here—a beautiful garden isn’t something you plant one night and wake up to harvest the next morning. It takes steady, reliable attention and care—the value (Taurus) is delivered over time (Saturn). Digging up the seeds every thirty minutes to see if they are maturing is counter-productive. Notice it’s the “Lord of Success Unfulfilled,” not “Success Unattainable.” Doesn’t mean it’s not coming. It’s just not here yet. Hold out. The fruit may not be ready for the picking yet, but it doesn’t mean it’s not ripening at the perfect pace. Delayed gratification is in order. Don’t try to force—let things unfold at their natural pace, and just see to it you’re providing support, feeding and watering at the right times. That’s your job. And don’t forget to step back and appreciate the progress. The Seven of Pentacles is always a good reminder to take stock of what you’re growing.